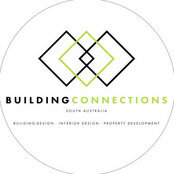 Building Connections SA is a residential building broker operating in Adelaide, South Australia. Our experts design and tender residential homes to many of the builders that we work hand in hand with to provide you as the client with the best possible building experience. New Home Design, Interior Design, Tender Preparation, Selections and Sub-divisions.